Make sure to pack enough supplies. Running out in a foreign country could prove problematic and expensive. Anti-sickness medication for upset stomachs can also help to slow down your output and prevent dehydration. Hot weather can sometimes affect the adhesive on pouches. Consider the use of flange extenders and more frequent changes. 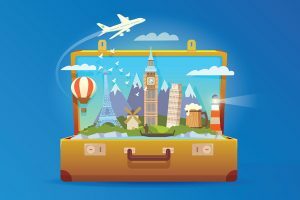 Most delivery companies offer travel bags and travel certificates (complimentary with SecuriCare) which explains in several different languages what your stoma is and why you are carrying extra supplies. Of course, finding the right pouch can also be the key to opening up a whole new world of potential travel opportunities. Vicki relies on her Aura Flushable colostomy pouch every time she goes abroad.“When I travel, which I do an awful lot, the flushables are brilliant. I’ve been to Australia, Doha, all kinds of places, and used them in lots of different toilets including beach side shacks! Also, you’ll appreciate that when you are eating different foods in any country, a different culture it doesn’t always agree with you. 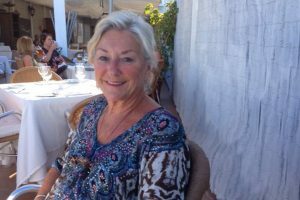 You can get tummy problems and you might find that there isn’t a bin, but with the flushable, you are fine changing it in any restaurant anywhere!” Helen enjoys her holidays a lot more now that she uses the Aura Flushable colostomy pouch. Michel feels that his Flushable pouch is more discreet.